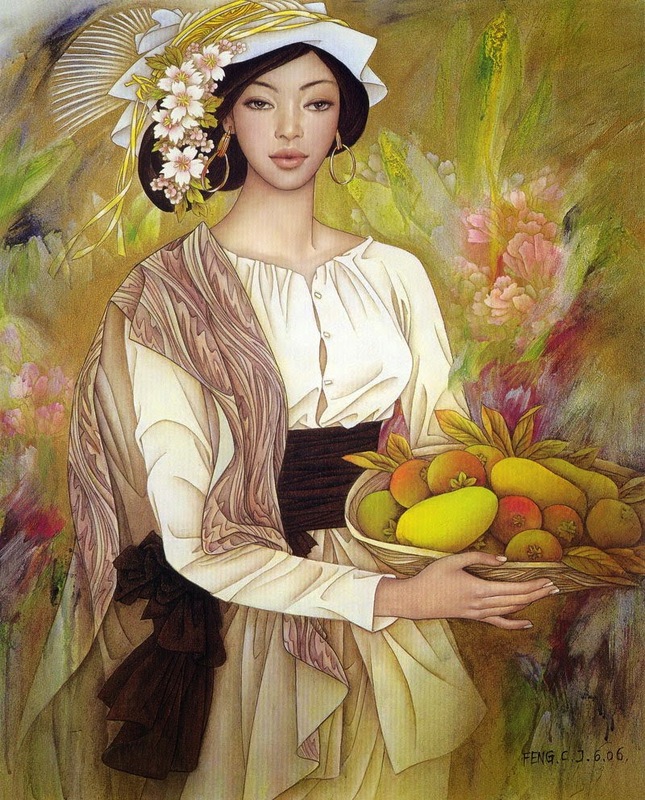 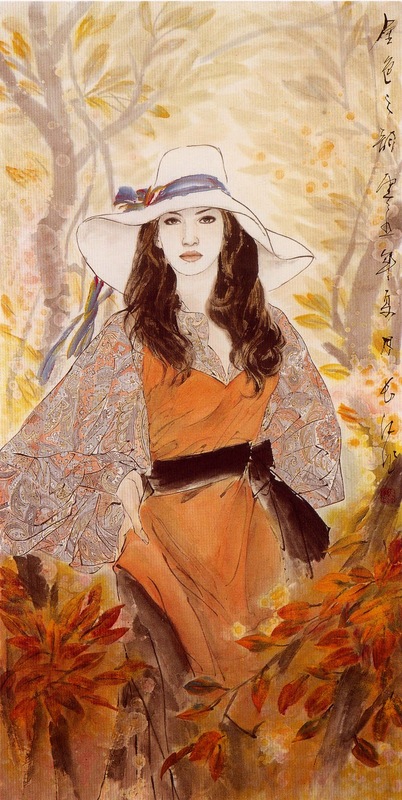 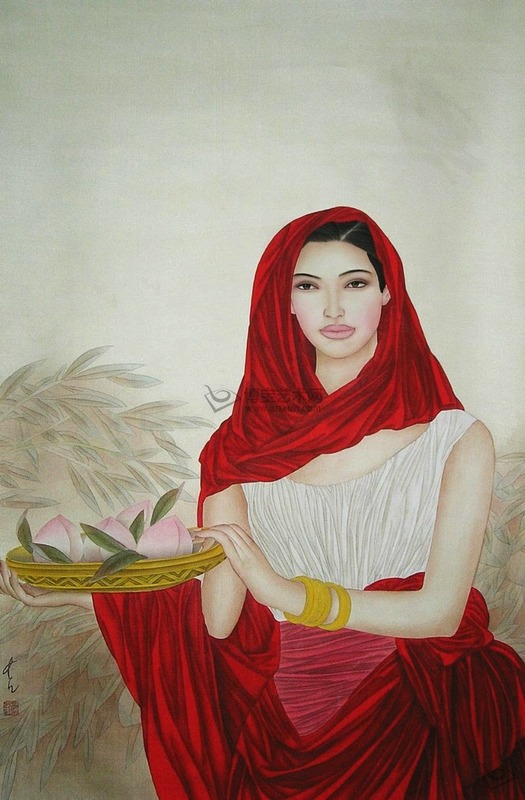 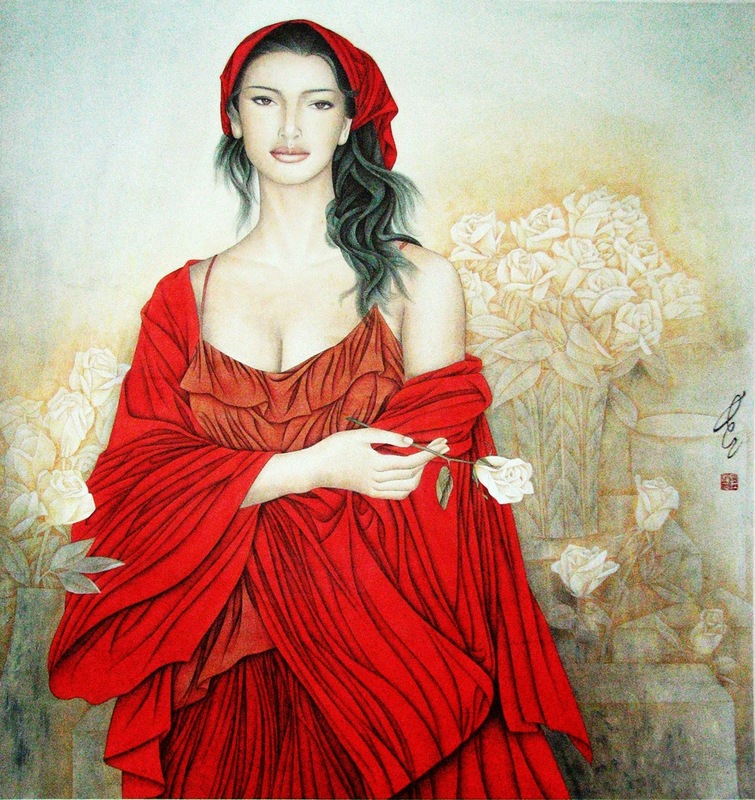 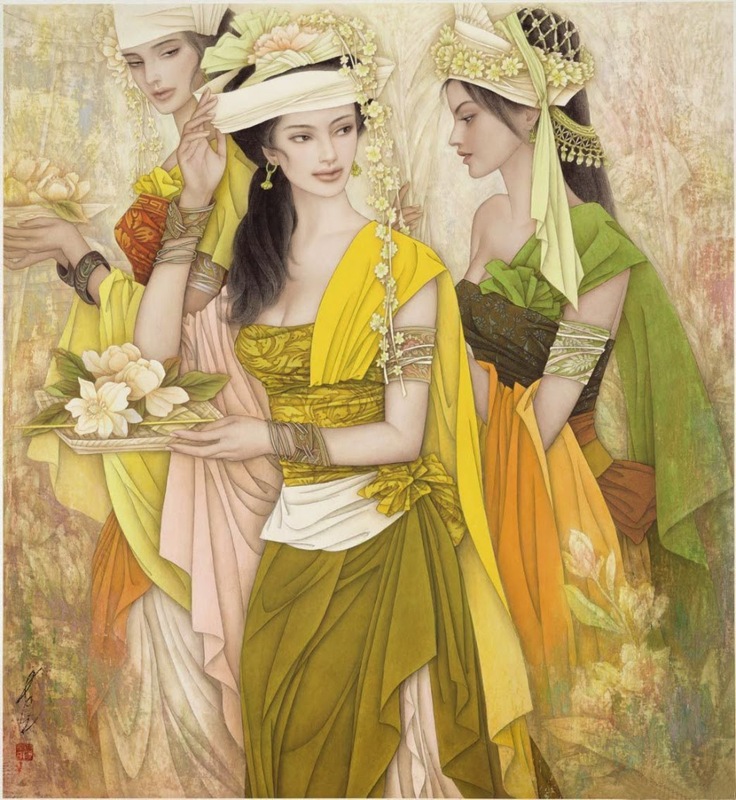 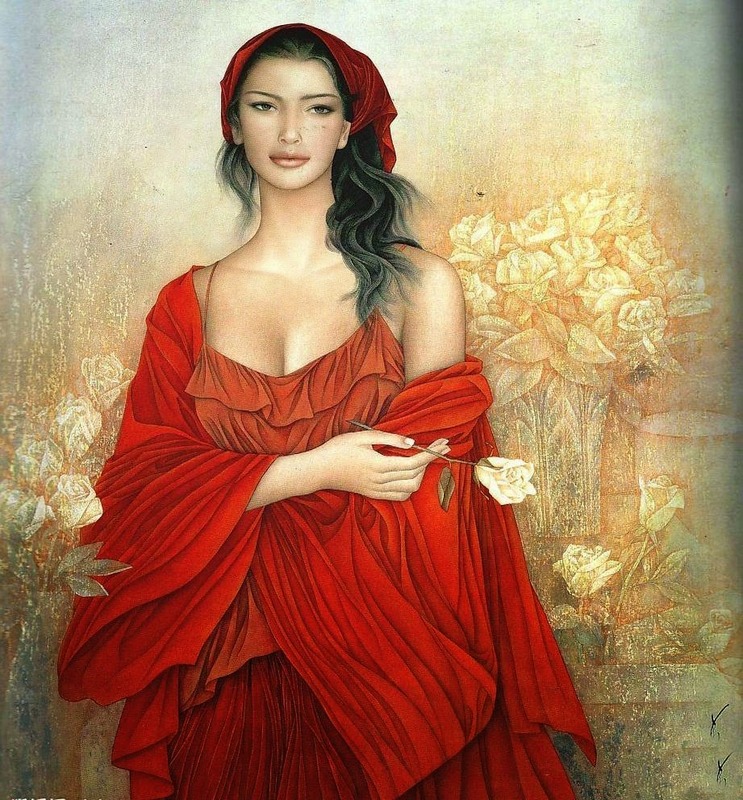 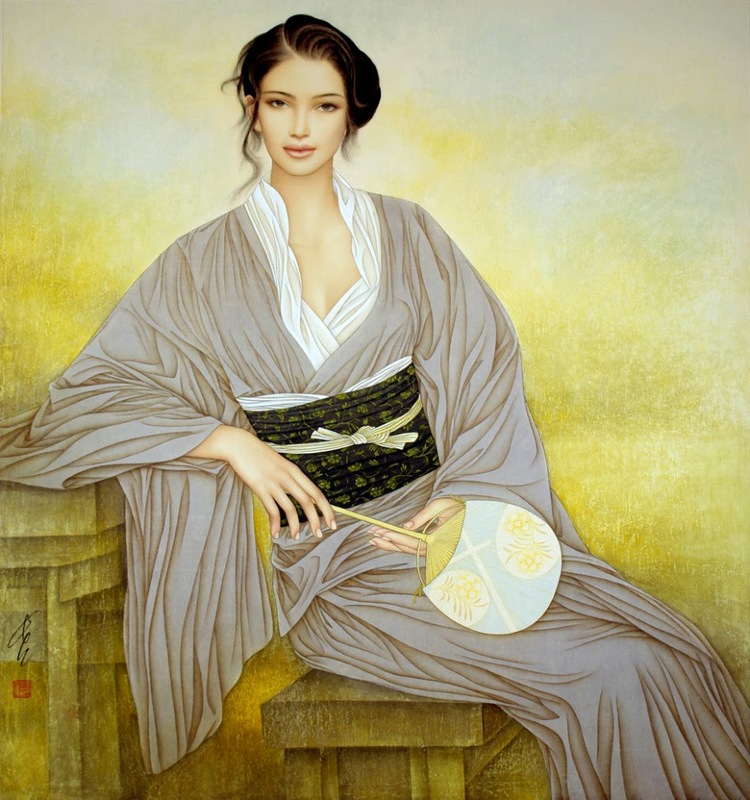 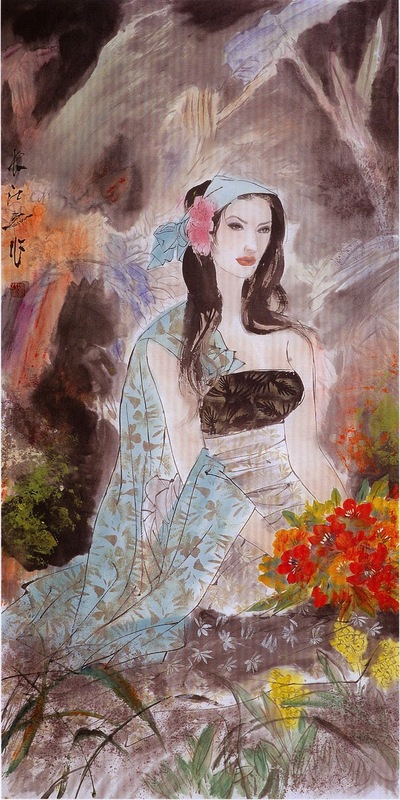 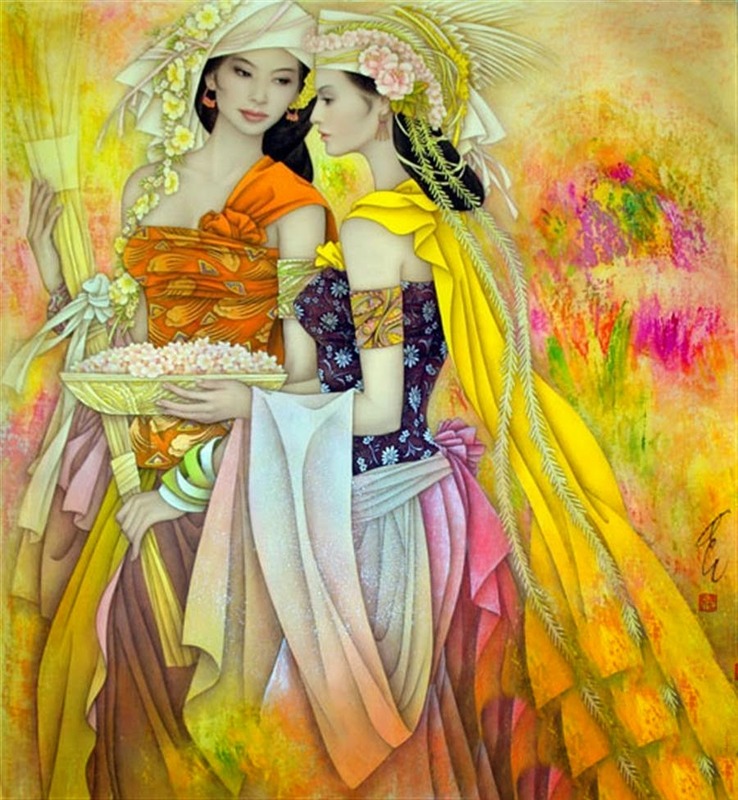 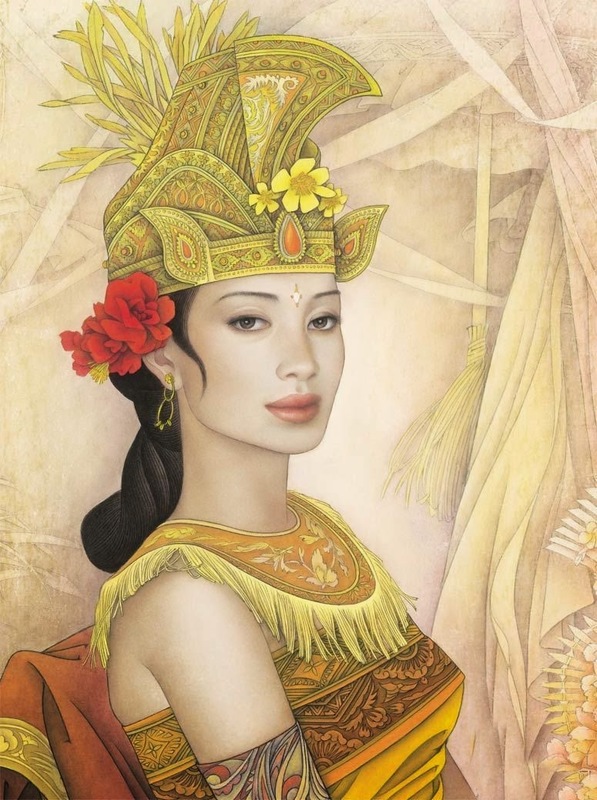 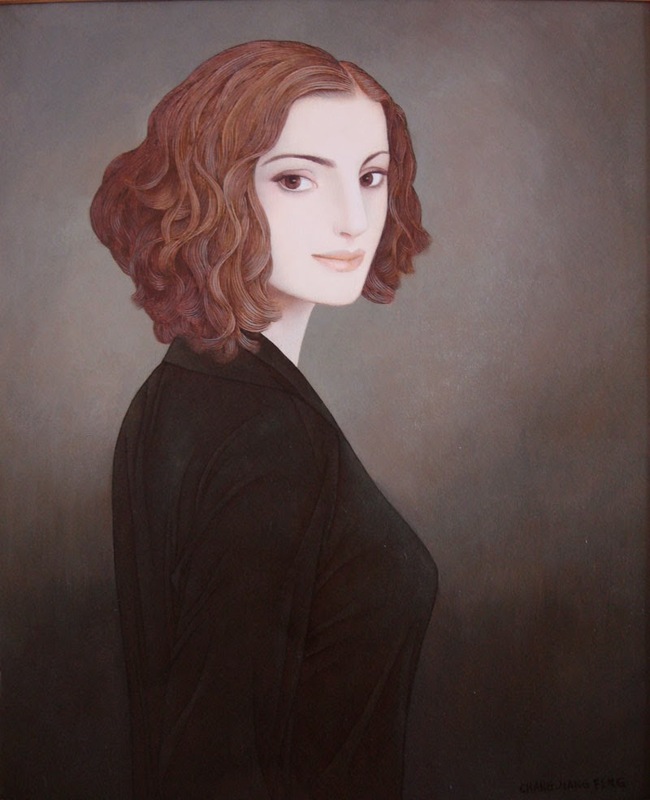 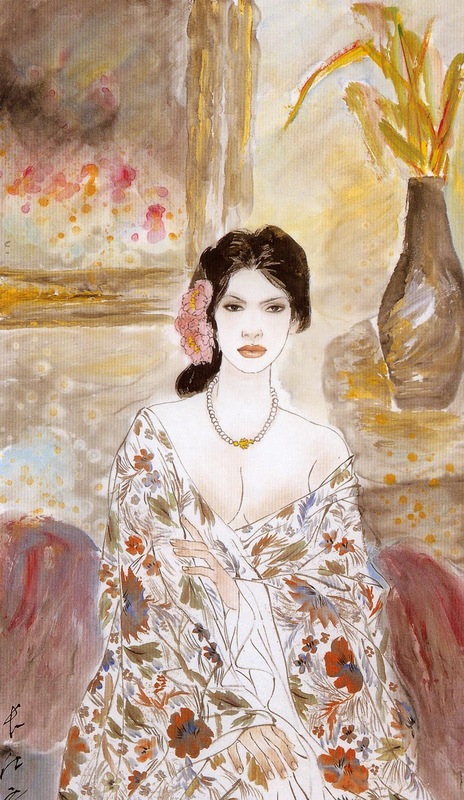 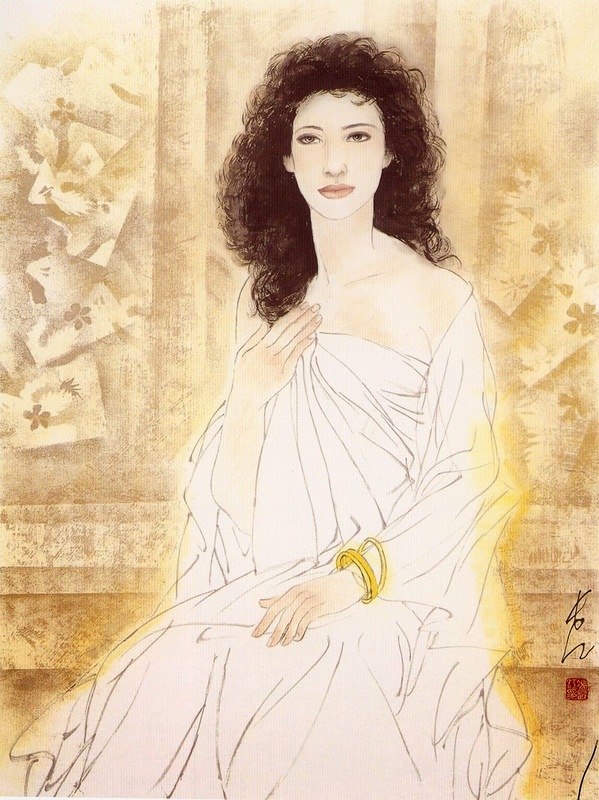 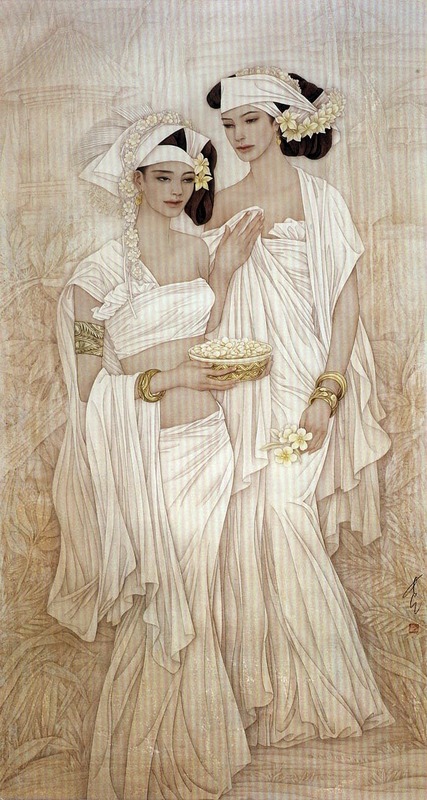 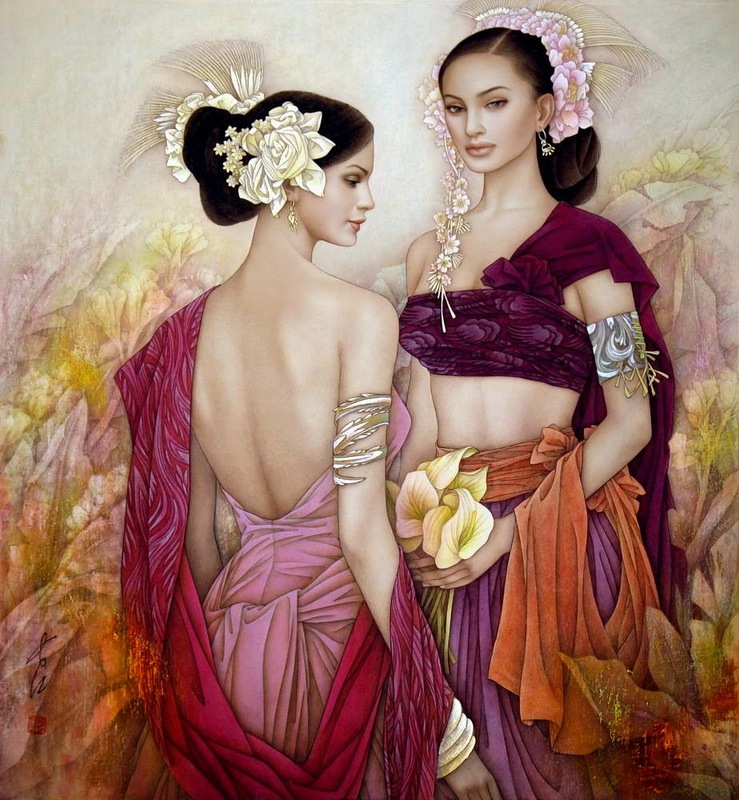 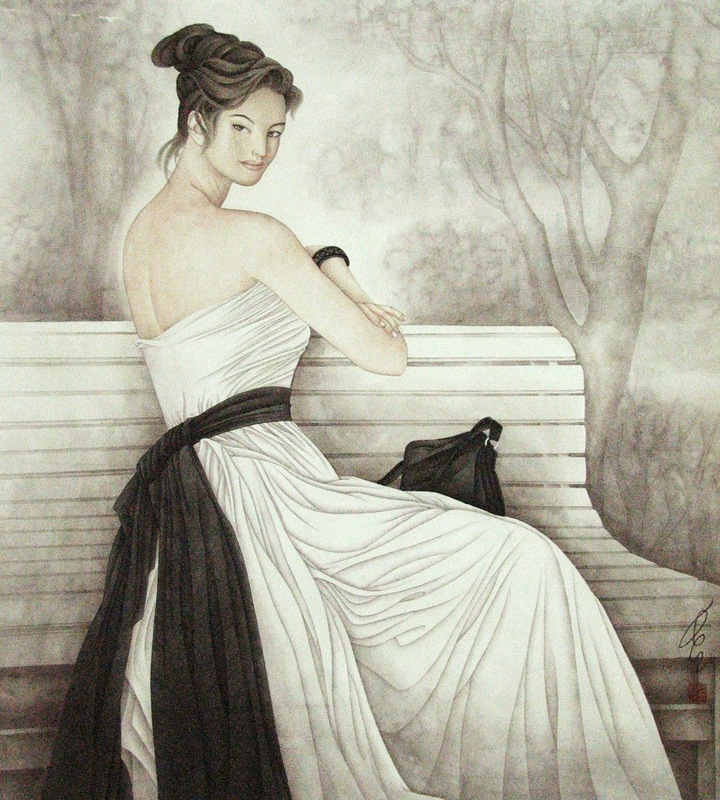 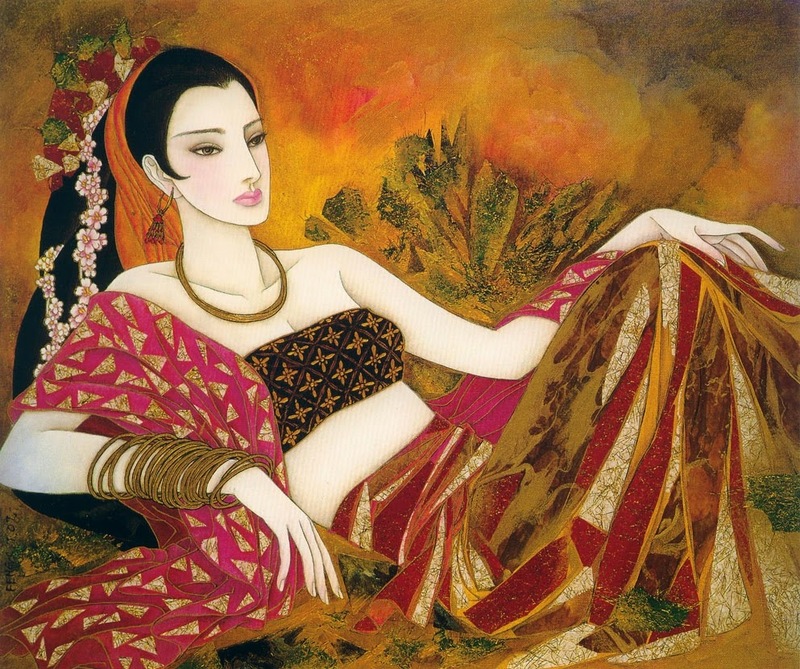 Feng Chiang-jiang interested in painting since his youth, he taught himself the art. 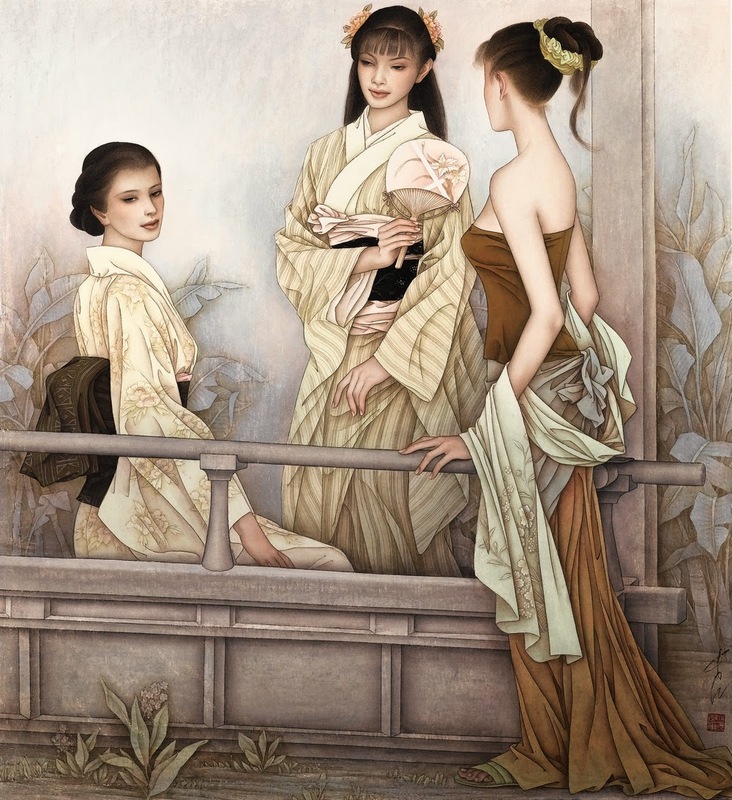 After initially practicing Western painting and Chinese ink-and-wash painting, he specialized in the traditional meticulous brushwork painting with help and inspiration from the famous art historian and painter Pan Xie-zi. 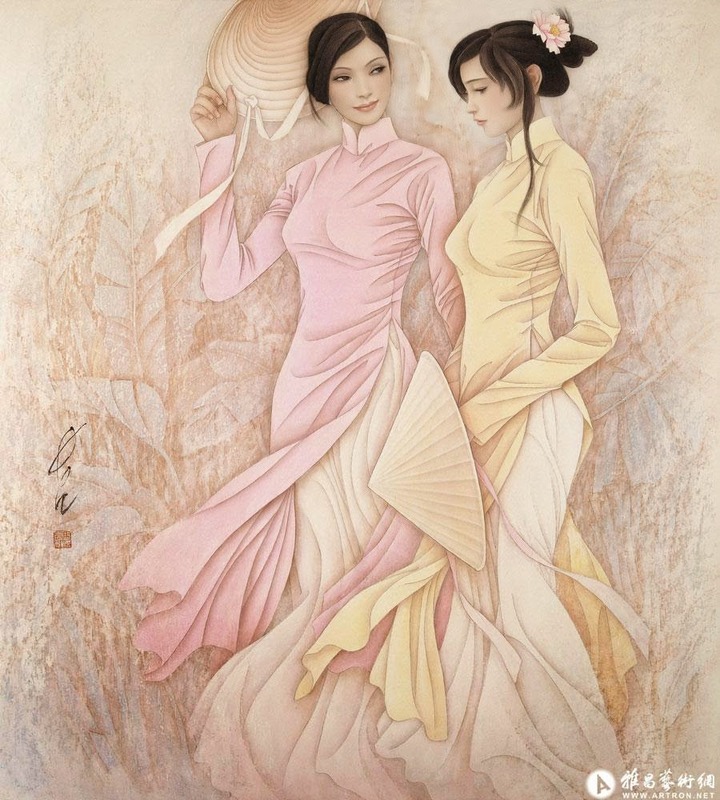 Pan Xie-zi also passed on his knowledge of ancient frescoes replication to Feng, which Feng was able to apply to various temples, tombs and sites such as Yung li Palace and Qing-long Temple. 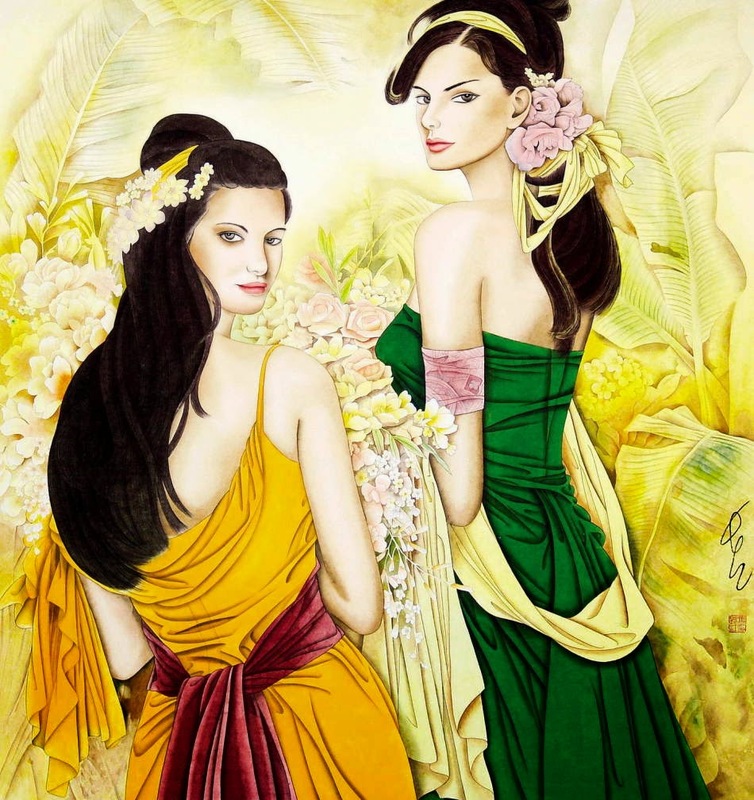 The experience has benefited his artistic development and style maturation. 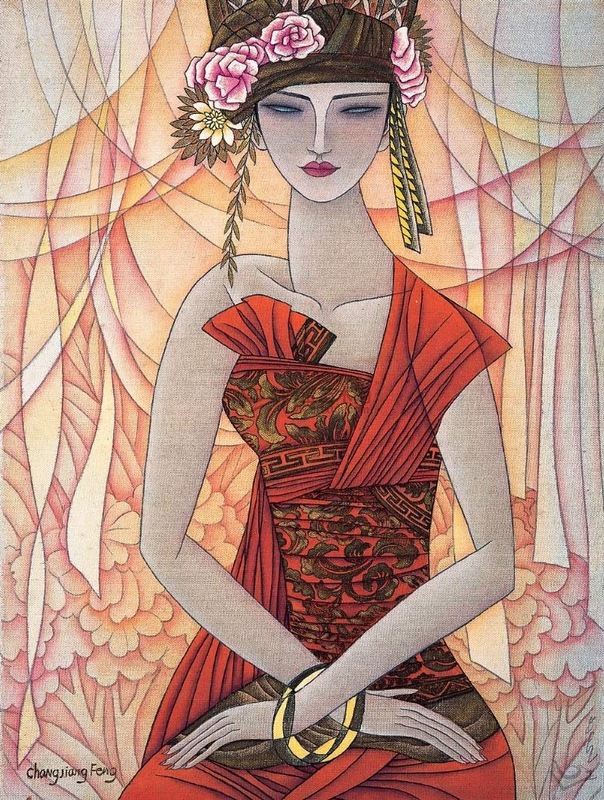 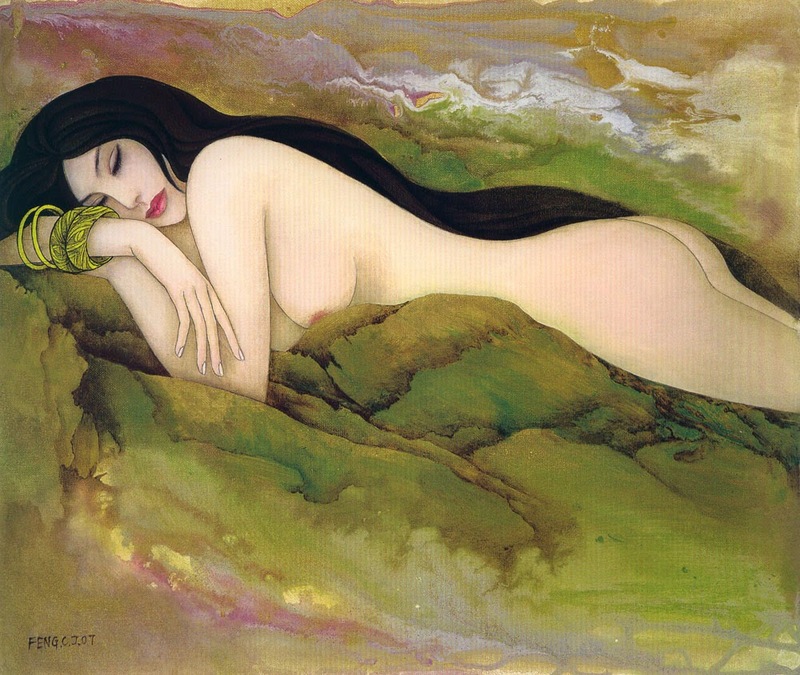 Feng's works integrated the rhythm of the traditional lineal approach and the Western spectacular colour approach. 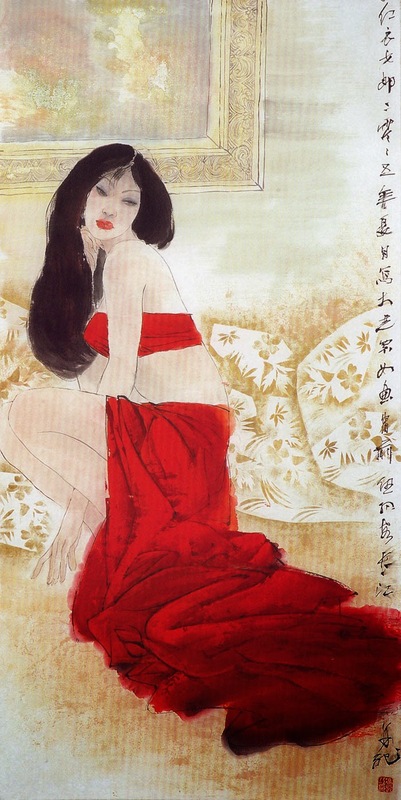 After his successful debut, "Dance of Red Silk" Feng produced numerous modern meticulous brushwork and heavy colour paintings that earned him critical acclaim in China. 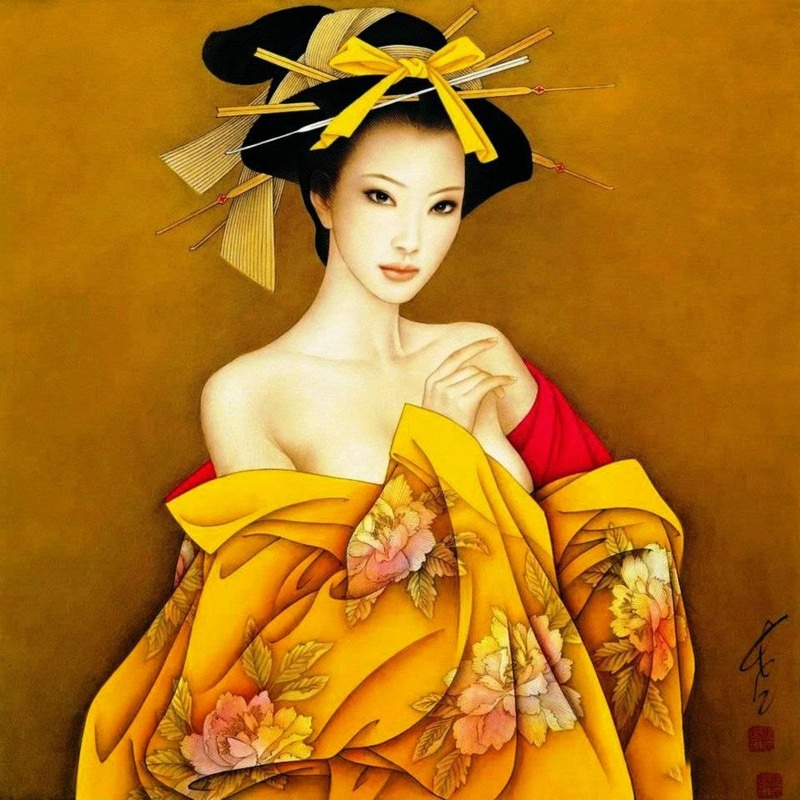 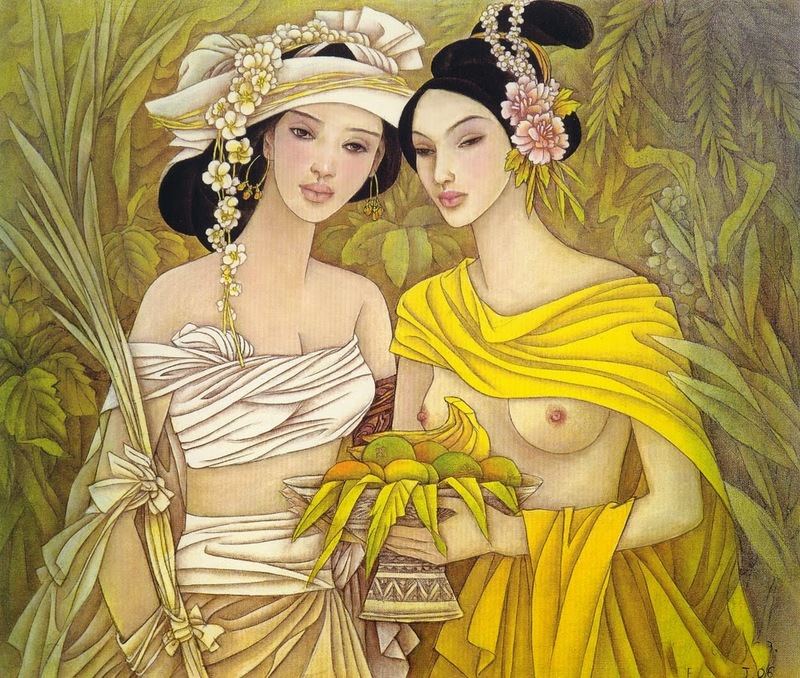 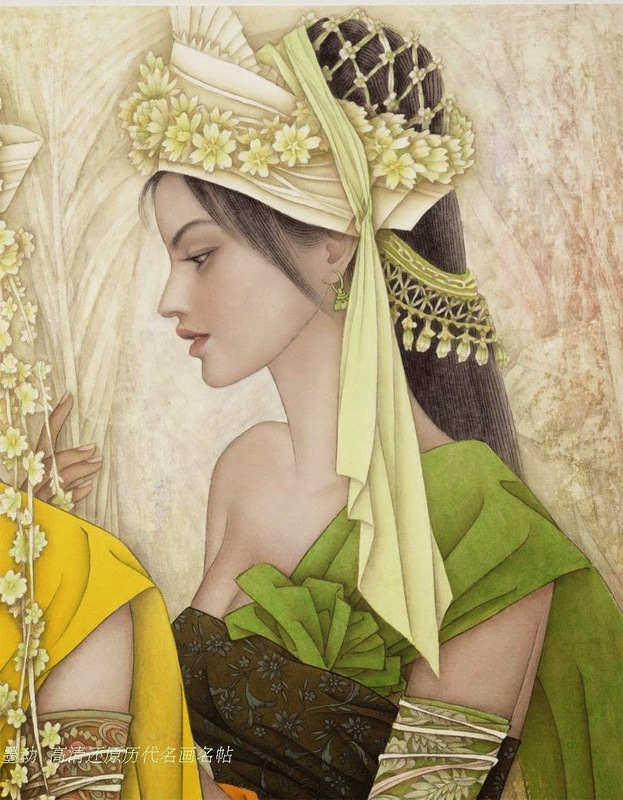 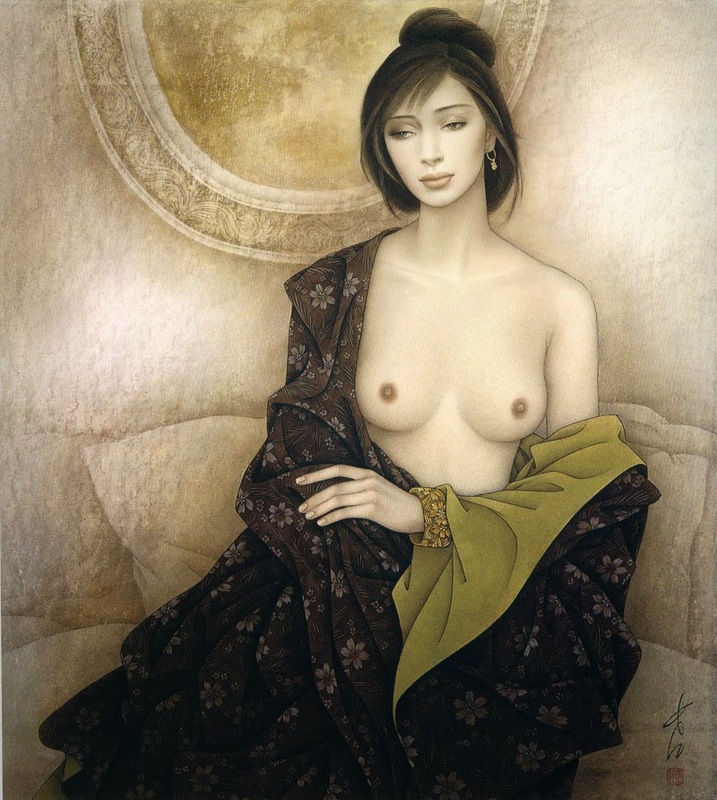 With his talent and effort, he was awarded numerous times and was recognized as an "Eminent artist" In 1997, Feng relocated to New York to further develop his artistic career. 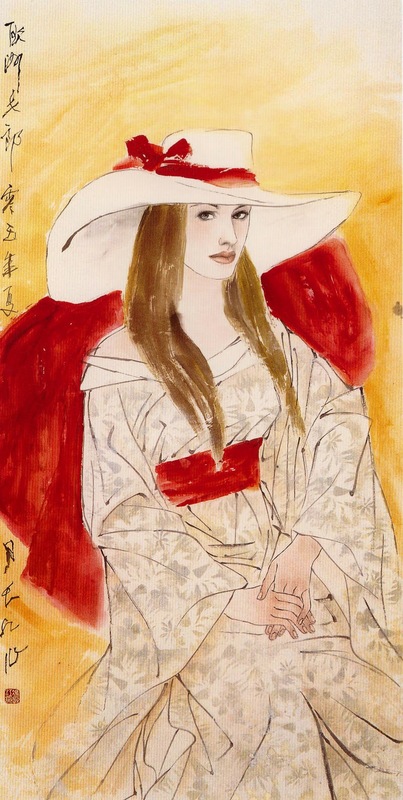 His exhibitions in the U.S. were successful and aroused the interest of many foreign viewers and collectors. 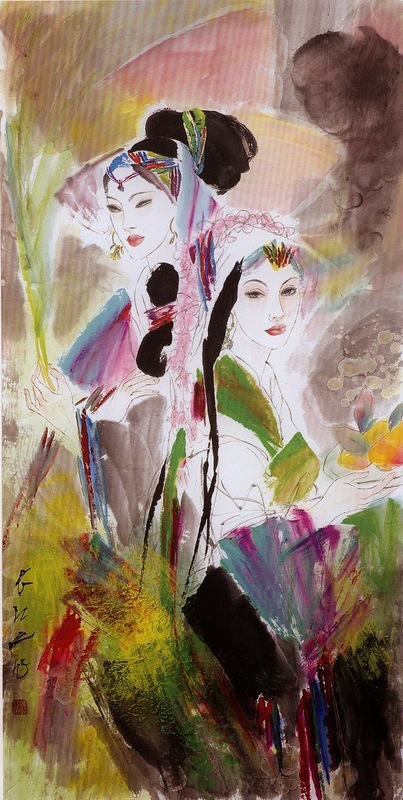 A number of his works have been selected to form "Works of Feng Chiang-jiang" "Selected Works of Feng Chiang-jiang" "Selected Heavy Colour Paintings of Feng Chang-jiang" and "Works of Art of Feng Chang-jiang" His works have been exhibited throughout the world and are treasured by many museums and collectors as works of art. 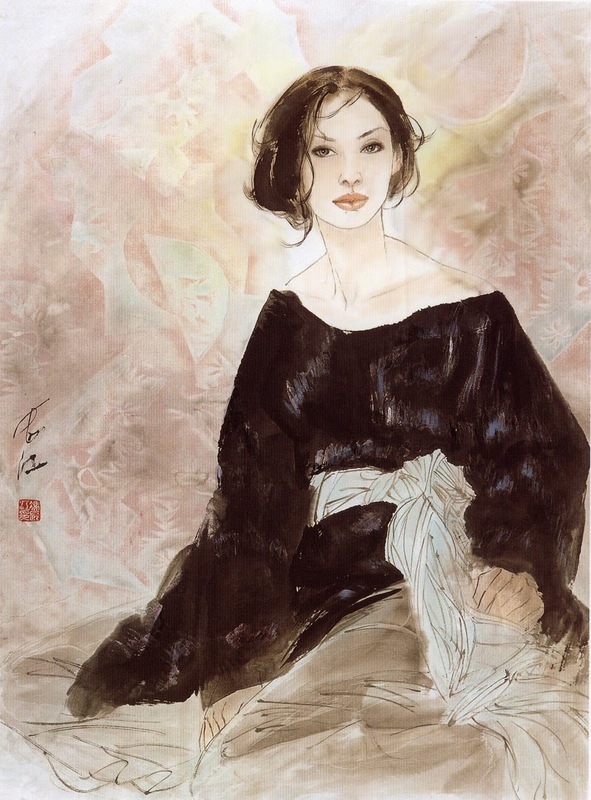 Feng Chiang-Jiang è nato nella città di Xian, Shaanxi nel 1943.I suoi dipinti mescolano la cultura occidentale a quella orientale mediante la linea di disegno tradizionale cinese ed il colore della pittura occidentale creando uno stile personale. 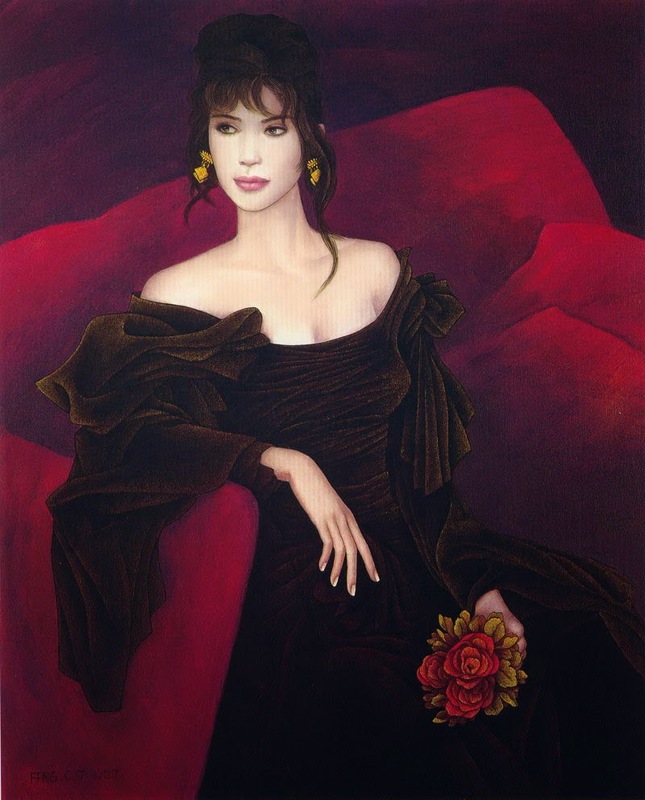 Grande attenzione alla bellezza ed eleganza femminile.